Will Allie make the right choice? Will we be able to afford it? What if she makes the wrong choice? What will she major in? There we so many questions and uncertainties!! I don’t recall a lot of stress around the question of her getting into the schools she applied to, but rather I feel there was more anxiety about deciding between the schools she did get into. Helping her navigate questions of size, campus atmosphere and fit was the most difficult part of the process. I feel like Allie knew very early in the back of her mind that Hope was her first choice, but she was still questioning what the right choice was and how to make that decision. As parents, we tried to be supportive and let her make her own decisions in her own time. We let her know early on that this was her decision and that we would support whatever choice she made and make it work. Size, cost and the ‘this is it’ feeling she had on campus. Size was something that she really went back and forth on. She really wanted a school that was big enough to get involved, spread her wings and have fun but not too big where it lost that sense of community. As for cost, since all three of her top choices were out of state and/or private, at no time was in-state tuition even a consideration. Because of that, we were quite interested in the scholarship and grant options available at each of the schools. Finally, and above all, we wanted her to feel like the school she chose was someplace she felt ‘at home’ from day one. 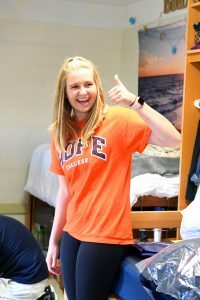 Allie really wanted a school where she would be surrounded by like-minded peers who share a love for Christ and there is no doubt that the key factor for Allie choosing Hope was the Christian element. 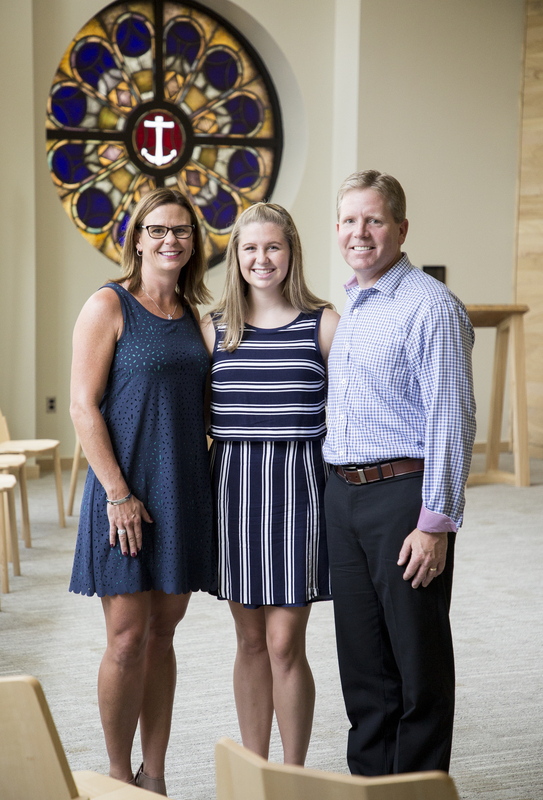 From the moment we sat in chapel on our first campus visit, I knew where she would want to call home. I still remember the goose bumps I had in chapel that day seeing all of the students (standing room only) pack the chapel and worship because they wanted to, not because they had to. That was the factor that all other schools were compared to during her college search from that day on! Take your student to as many schools as you can so that they can get the feel of the campus first hand. While websites and virtual tours are great, they cannot replace the experience of an actual visit where you can see students interacting, feel the vibe of the campus and take in the surrounding area. Campus tours were my (Jodi) favorite part of the whole process! I think we had, and still have, the same concerns all parents have when it comes to paying for college. We were hopeful to receive as much money in scholarships and grants as possible. 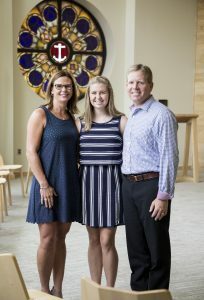 We encouraged her to look at in-state schools and apply for any and all scholarships she could but did not limit her choices because of these things. We were very clear with Allie what our “budget” for her was and weighed all of her options with her. I would suggest to others going through the process now to weigh the value of the return on investment at all the schools they are looking at. When did Allie know Hope was the best and possibly only option? From day one of our first visit! She loved hearing the student perspectives during one of the breakout sessions and attending chapel. From then on, all other schools were compared to Hope and all other towns compared to Holland. My advice would be to enjoy this exciting time. Take the time to explore as many college options as your child is interested in. 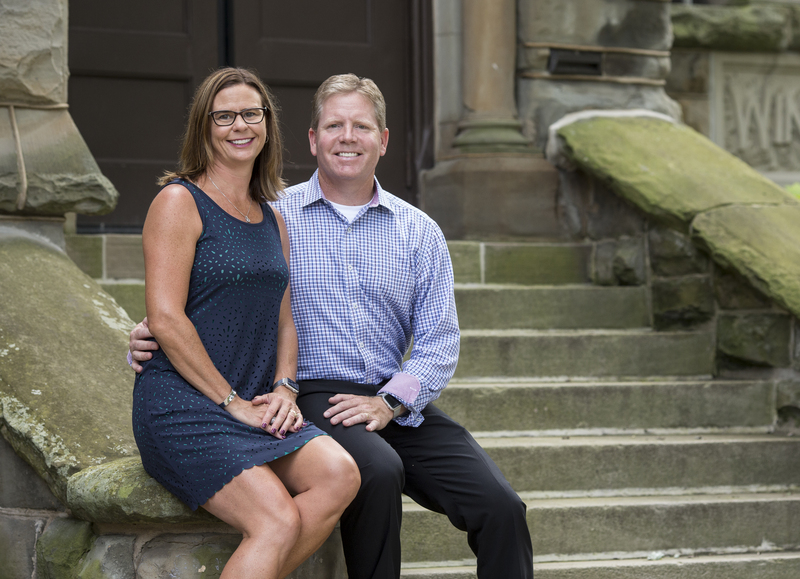 Visit a variety of schools – different sizes, locations, public, private, city, small college towns. The more you visit, the better feel your student will have for what feels right. Chances are you will be as lucky as we were and just know once you find it. Be supportive of your student and the choice he/she makes. This is a big decision and as much as you want them to make the right choice, he/she is the one who will be moving out and living at the school the next four years.